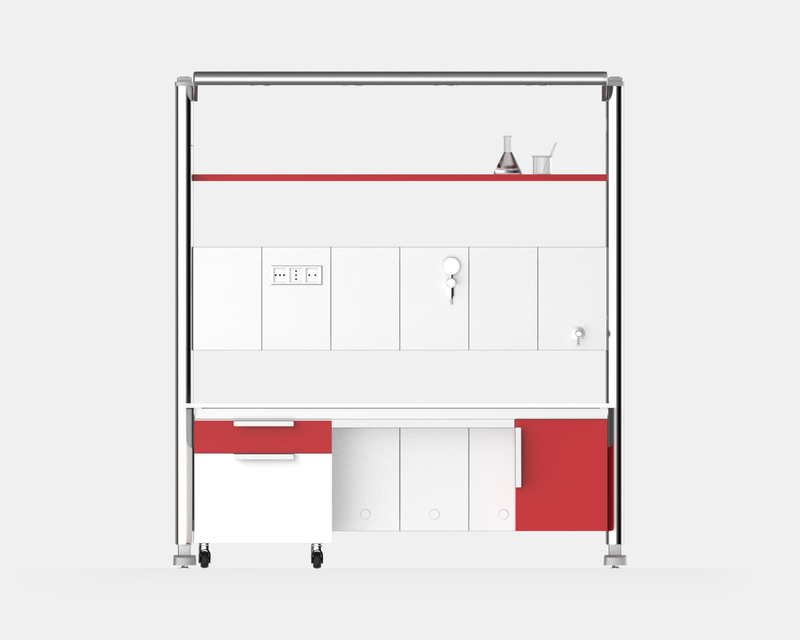 A modern laboratory to adapt to various conditions and environments. 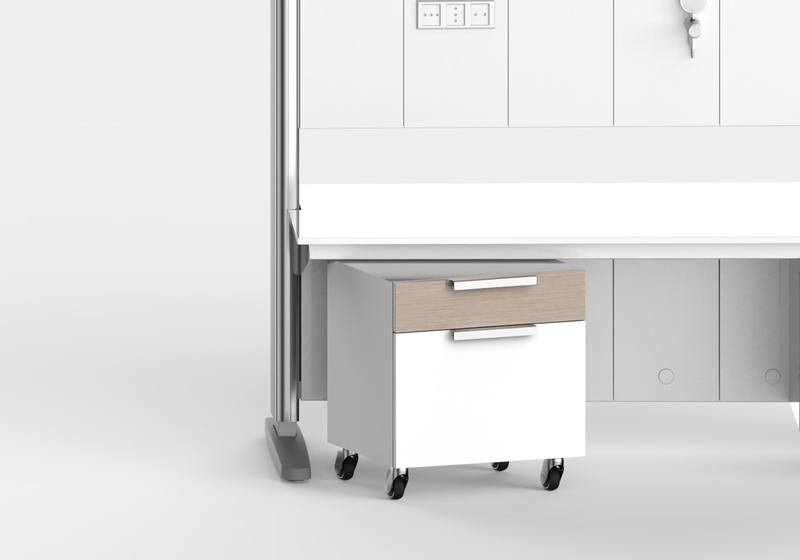 The key words that guided the project are easy installation, versatility, quality and ergonomics. 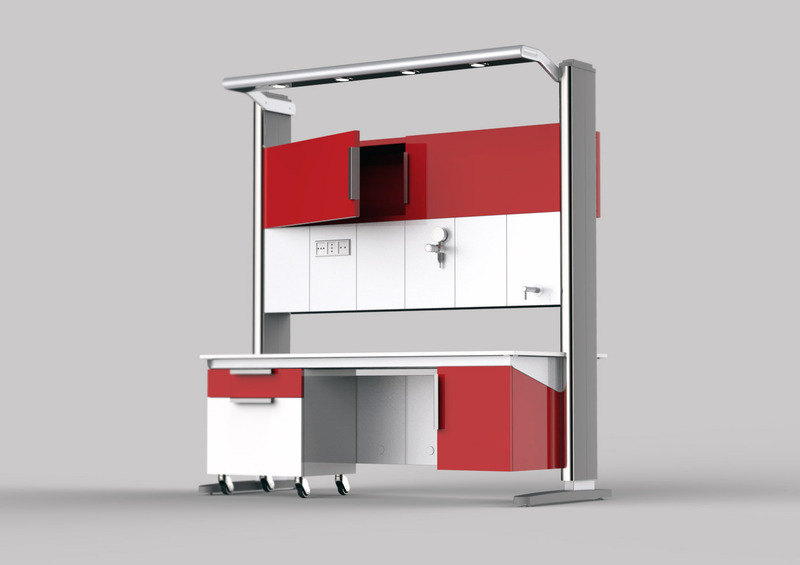 The result is a modular furnishing system for laboratories equipped with many solutions that enrich the commercial offer on its reference market. 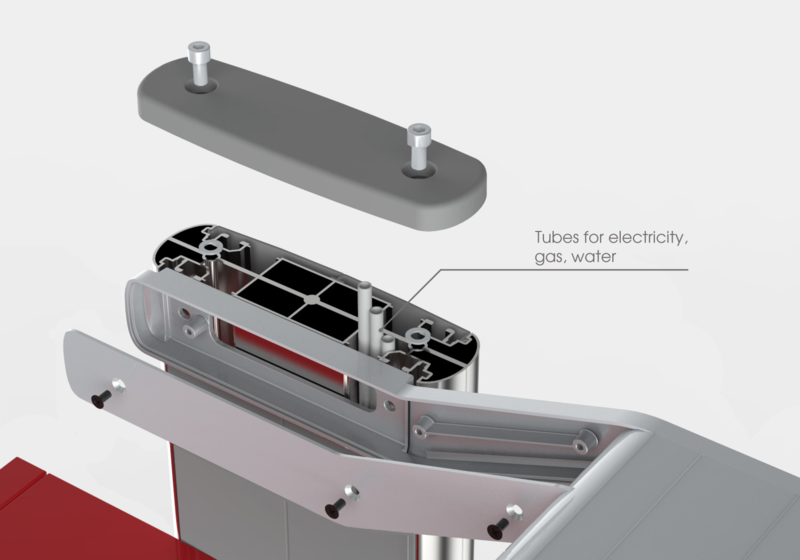 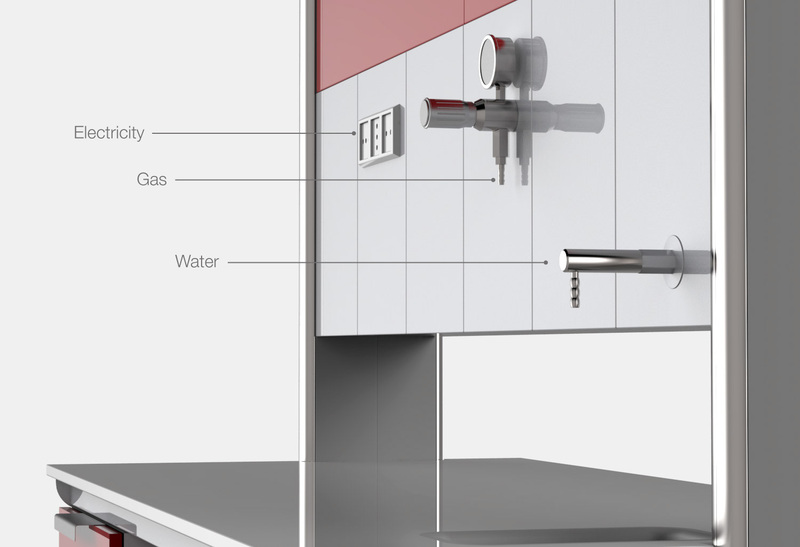 Extruded aluminum load-bearing columns with interspaces for the passage of different services (water, electricity and gas), modular panels in steel covered with anti-corrosive paints in two variants (glossy white and satin gray) combined with finishes and colors that make the laboratory an environment extremely functional and pleasant to live. 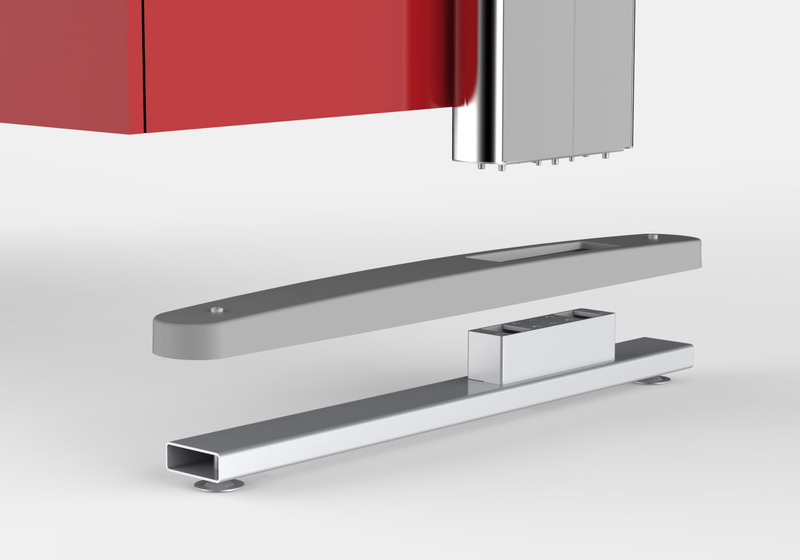 The anodised aluminum structure, combined with glossy white or matte gray panels, match perfectly with elements in vibrant colors, which make the system more modern and less aseptic. 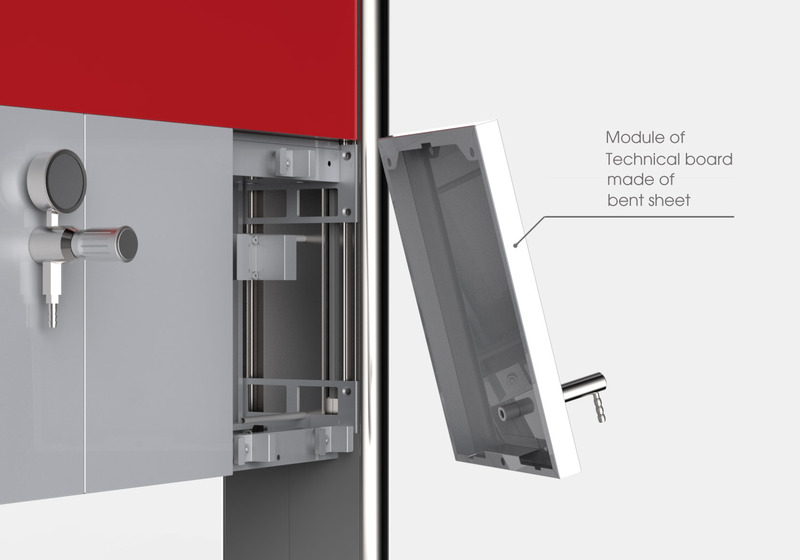 The modularity of the system enriches not only the color palette, but also finishes and materials.